The index opened huge gap-up on the back of RBI governors Repo cut by 25 bps in the morning, but saw profit booking from the onset with intensity of selling increasing in the afternoon to close 200 points lower from the top at 8922.65, huge loss of 73.60 points. The broader market was also weak, with 420 advances to 1082 declines. Developing Range as per Option Table stays at 8500-9200. Call option 9100, 9300-9500 added huge 8.99 lacs OI with short covering seen at 9000 and lower strike prices. Put option 9300-9000, 8700 added huge 11.89 lacs OI with profit booking seen at 8600 and lower strike prices. 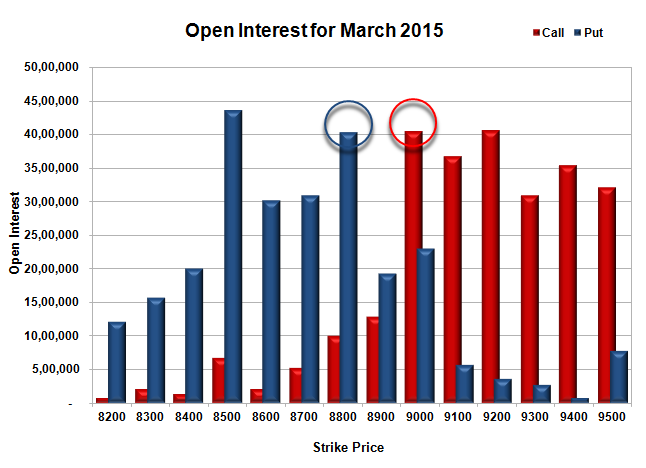 Nifty Open Interest is at 2,68,93,850 down by 9,20,725, with decrease in price, most probably huge long liquidation. Bank Nifty Open Interest is at 22,24,725 up by 2,04,250, with decrease in price, most probably huge short build-up. FII’s sold 2.22 lacs Futures, which includes 1337 contracts long liquidation and 7526 contracts short build-up, with increase in net OI by 6189 contracts (includes 96881 longs to 105744 shorts for the day) and the Average Price comes to 8979.04. 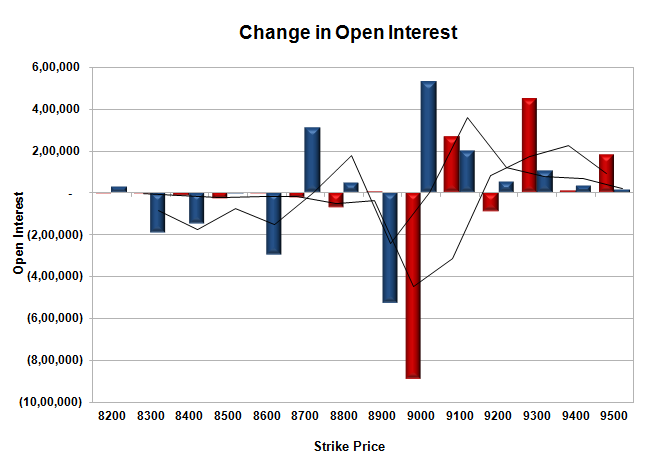 FII’s Index future open contract as on date is 882209 Longs to 103560 Shorts, net long 778649 down by 8863 contracts. Initial and very good support at 8800, with OI of 40.32 lacs OI and below that at 8700 with OI of 30.92 lacs. Initial resistance still at 9000, with OI of 40.45 lacs and above that at 9200 with OI of 40.59 lacs. 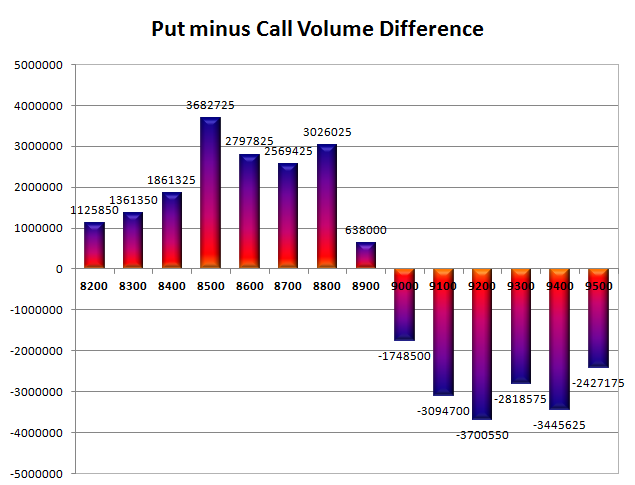 Day Range as per Option Table is 8875 - 9052 and as per VIX is 8852 - 8994 with 8979 as the Pivot.